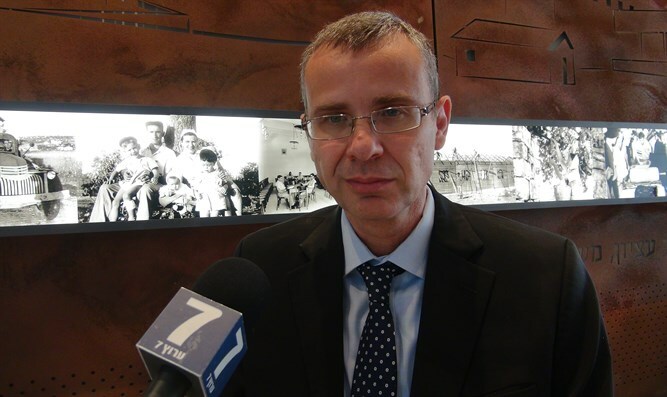 Tourism Minister Yariv Levin attacks Gantz: He is full of arrogance, thinking it is possible to lead a country without prior experience. Minister of Tourism Yariv Levin (Likud) on Sunday blasted former IDF Chief of Staff Benny Gantz in an interview with Arutz Sheva, and expressed hope that the public will be able to provide an answer at the polling stations to the indictment that is expected to be filed against Prime Minister Binyamin Netanyahu subject to a hearing. Is the unification of the right-wing parties an option? "The current split is very dangerous, and it could also lead to a loss of votes because of parties that will not pass the electoral threshold and could also lead to the fact that the task of forming a government will not be put in the hands of Binyamin Netanyahu. I hope that the right-wing public will vote for the Likud and bring about a situation in which these parties will be forced to unite or disappear from the map, because this split ultimately harms both the ability to form a government as well as the ability to run it. Will the Likud be harmed if the Attorney General decides to file an indictment against Netanyahu subject to a hearing even before the elections? "The attempt to do this during elections with all these leaks is a serious thing, but I trust the Israeli public to know how to distinguish between bad and good, between truth and lies, and to provide a crushing response in the ballot box with a vote for the right and especially the Likud."